The 7 Top Tips for a #PRstudent to get their first graduate job! So, it’s that time of year again where summer is almost over and we’re slowly coming to terms with the looming reality of returning to university or *gasp* facing the daunting prospect of needing to get a job. Now, if – like me – the prospect of becoming a fully-fledged adult (complete with taxes and commuting) has a tendency to give you heart palpitations, I thought I’d make things a little less stressful and give my top seven tips for getting that all important graduate job. 1. Experience is (almost) everything! Public relations – and, for that matter, most creative industries – is notoriously competitive to get into. This competitivity is even more pronounced at junior levels where swathes of new grads are fighting it out for the attention of increasingly discerning employers. One of the best ways to get their attention (and those elusive job offers) therefore, is to show whoever is potentially hiring you that you know your way around an office and the positions you are looking to fill. Whether it is an internship, a collaborative project like Stephen Waddington’s #PRStack, writing for communities such as that built by Behind the Spin or volunteering your abilities within/for a not-for-profit, all experience is readily seen as good experience and, as such, does wonders for not only showing an employer you won’t crumble in the job, but also helps you gain confidence in your skillset and your ability in applying your academic knowledge to a professional context and environment. 2. Figure out what makes you special and own it! Now anyone who knows me knows I have a wide and arguably uncommon variety of interests (from WWE to politics to rats to blogging on a regular basis). As an undergraduate, I believed that being seen as ‘weird’ would put agencies and employers off but the more I’ve explored the industry and built connections within it, the more I’ve noticed that in fact the opposite is proving true. Being ‘weird’ and having seemingly ‘quirky’ interests has been a godsend during interviews as I genuinely feel that it has been one of the key aspects that has ‘set me apart’ and led to my applications being memorable – something that is all to important when you know the person hiring has umpteen CVs to go through where every CV is going to look basically the same. 3. Know where to look. 4. Stand out on social media! I know. I know. Breaking through the noise and standing out online (particularly in a positive manner) is much easier said than done. But networking online across all the commonly used platforms is one of the key ways in which to get your name out there and your profile known. Additionally, social media also is a great way to find job ads and stand out to employers. Indeed, I have recently gained a graduate role myself through securing an interview with Hamish Thompson, MD of London’s Houston PR, via Twitter based on his reading my blog and discovering a few of my quirkier interests – particularly my love of stationary (something that is shared within his team already). 5. 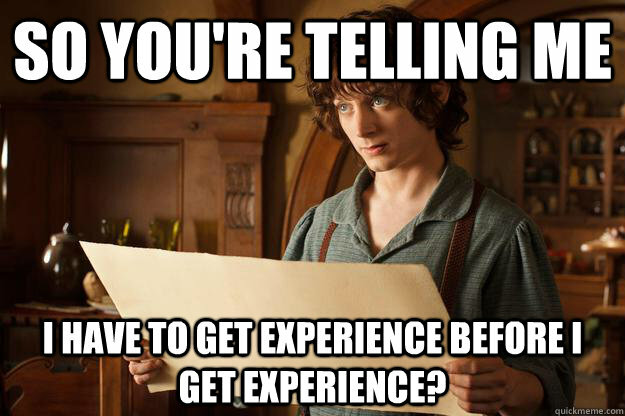 When it comes to applying/interviewing, Research. Research. Research. 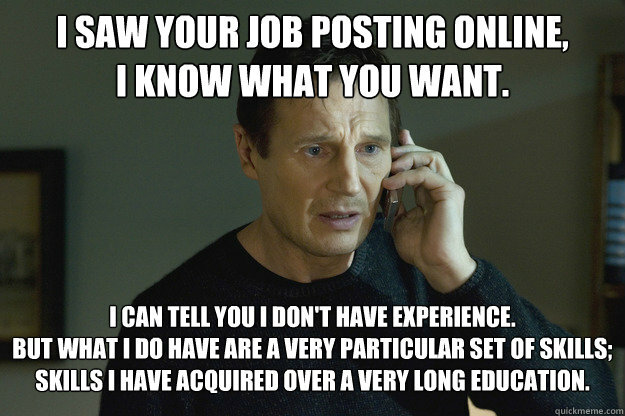 Social media however, is not the be all and end all for getting a graduate job. Keeping up-to-date and being knowledgeable about your industry as well as the agencies you’d like to work for is so important in making a good impression. Interviews test your ability, skills and character but an interviewer is often looking for more. Stand out by commenting on campaigns the agency has been involved in, content they have posted or their client’s industries. 6. Be gracious (in both success and defeat). It’s amazing how many people don’t follow up an interview by sending a quick note to say thank you. DO NOT LET YOURSELF BECOME ONE OF THEM. Show your appreciation to anyone and everyone who helps you out (and even the people who don’t). It leaves such a positive impression and will pay off in the long run. After all, PR is a surprisingly small industry, and you never know who you might end up at an event with (or even working with) in the future. Most importantly though is number 7. Keep a cool head and don’t let the slog get you down!!! Stay positive, keep a balance, hang out with your mates, and you’ll get there eventually. Don’t just take my word for it though! Leave a comment below and let me know what you think! Are there any tips you want to share? I’ve been itching to post this for the last few days but, now that the official announcement has been made I feel I can finally announce that I have joined Behind the Spin’s editorial team as an Associate Editor. Behind the Spin (for those of you who don’t know) is an online magazine that caters to public relations students and young PR professionals. As well as regularly updating with articles on anything from promoting MOOC’s and industry competitions to feature articles showing the intricacies of a particular role or a contributor’s perception and experience of a particular area of the industry, the publication and it’s Editor, Richard Bailey, are active in assisting with careers advice and ways for young and passionate PR folk to demonstrate their skills. For me, it has become a valuable resource that I’ve highly recommended to my peers since my discovery of it last summer, but it is it’s provision of opportunities such as its annual national #PRstudent blogging competition, and Richard’s willingness to act as a ‘sounding board’ for any and all of my professional thoughts, queries, and questions that – I believe – sets Behind the Spin apart. Despite being an avid and voracious reader of many popular industry titles (Drum, Creative Review and PR Week to name a few) – something I highly recommend doing for any aspiring or current PR student or grad – Behind the Spin (for me at least) has become that down-to-earth insight into the positives, challenges and just plain realities of what the industry is like at the level WE are currently at. Cue why being a part of it is all very exciting – to the point of my letting out a rather undignified squeal in the middle of a crowded train platform when reading Richard’s offer. If you’d also like to get involved (whether you’re a PR student, a graduate, a PR lecturer or an employer), check out this open invitation to tell you how. #BreakingNews Max Clifford has been charged! Infamous former celebrity publicist, Max Clifford (72) has just been charged with another indecent assault that allegedly occurred in 1981, and will appear at Westminster Magistrates court later this month. Based on evidence collected as part of Operation Yewtree, the charge is the lastest in a string of offences by Clifford, who was convicted last year of multiple sexual assaults and sentenced to eight years in prison. Chief Crown Prosecutor for the CPS in London, Baljit Ubhey, said: “We have carefully considered the evidence gathered as part of Operation Yewtree in relation to Max Clifford. Three years after 52-year-old builder, Barry Jackson started considering how to create a “man cave” in his back garden (to house his photography equipment and drum kit), Hivehaus – a series of hexagonal room forming a personalised building – has grown to host the potential to revolutionise the housing market; offering first-time buyers an alternative (and much cheaper) way of getting onto the property ladder. The honeycomb design (theorised to be an example of ‘nature’s efficiency’ by the Ancient Greeks), costs approximately £55’000 for three units, and can be erected in less than a week by three builders. Admittedly, it requires planning permission if owners are looking to live within the structure, but the flat-pack, Scandinavian-style buildings have a wide range of potential uses such as, for example: a garden room, office, gym, conservatory, studio and (as allegedly suggested by one London post-production house) film editing suites. The wooden frame floor’s ‘feet’ can be adjusted to compensate for uneven ground, but (for me) the key feature of this house is without doubt the interlocking shape system. As you can see in the video below, as well as the main hexagon spaces, Barry has also designed smaller diamond-shaped rooms with bathroom fittings, and similarly shaped patterns for an outdoor decking area. “With this idea, every module is the same size and you think of the module as a space which you use for whatever – if you need another bedroom, you add another module”, says Jackson, making the units perfect for a young couple who could then add to the structure with more units as their financial circumstances improve. Hivehaus‘ simplistic and minimalistic stye might not suit everyone, but with the way the housing market is going, the Hivehaus is innovative enough to pose as a significant and (most importantly) affordable option for first-time buyers – something that has been a key motivator for Jackson.